During earlier times, it was common practice that the man would secretively buy the engagement ring and then surprise his fiancee by proposing with the engagement ring at the opportune moment. Things have since changed and the current trend is the couple shop together for the engagement ring. This revised practice may have its own merits though some old-timers do not approve of this idea. More often than not, couples shop for their engagement rings online on the computer. This provides convenient, no pressure shopping along with great savings that online shopping brings. It is a fact that most women favor shopping together for the engagement ring as she can select the ring of her choice – as it is an important jewelry item that she will be excited to wear for the rest of her life. Engagement rings come in different shapes, designs and metals and at Novori Jewelry there are quite a few hundred styles to choose from. A man shopping independently for the engagement ring may be at a loss to determent which style his fiancee would actually prefer. 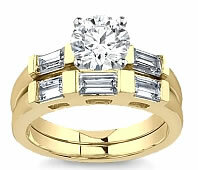 She may want a ring with a single large stone (solitaire ring) or a ring with row of smaller gemstones. 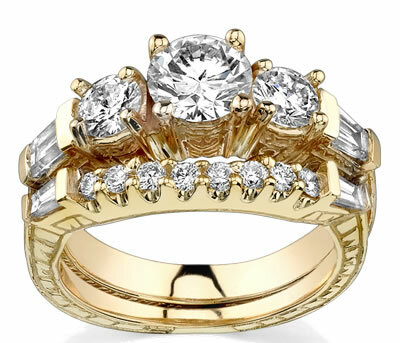 Even with the ring metal, she may prefer gold, white-gold or platinum. 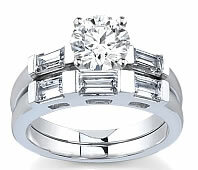 Some girls may settle for nothing less than a stylish designer diamond ring. Since this is a memorable purchase, it is always advisable to let the fiancee personally be part of the choice. If you still intend shopping alone and wish to keep your purchase a secret, it will be necessary for you to tactfully know her jewelry taste and what style will look elegant on her finger. It can be frustrating and costly if you buy an engagement ring that she does not personally like but accepts it merely because you have proposed with it. We provide you the assurance you need with our 30 day return policy at Novori. However before you decide whether to shop for the engagement ring alone or with your ladylove, it is advisable to seek her opinion. Some girls may still opt being a traditionalist and would want you to do it by yourself. If you decide do the shopping together, it is prudent to discuss and agree on the price range. Nothing can create a bigger heartache than seeing your girl selecting a diamond ring you can not afford. 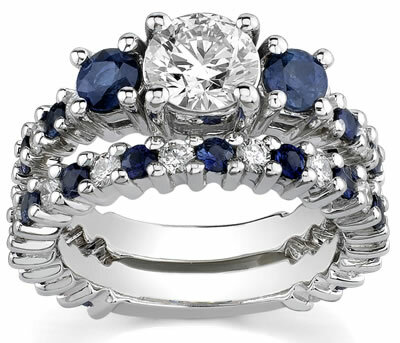 The ultimate convenience is at Novori Jewelry where you can shop online 24/7. If you have any questions regarding diamonds or rings, we are always here to help. Even if you shop together for the engagement ring, you can still be true to tradition and retain the element of surprise by suddenly proposing to her at a time she will least expect it. Of course it is a different matter when it comes to buying the wedding ring as both of you can do the shopping together as the element of surprise is over. 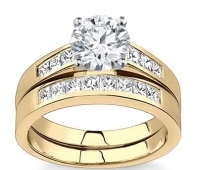 If the pleasure of shopping together is missed while buying an engagement ring, it can be truly offset when you shop jointly as a couple while buying the wedding ring. In any case online shopping is the most convenient and most affordable way to go. Just check out the quality and value at Novori.